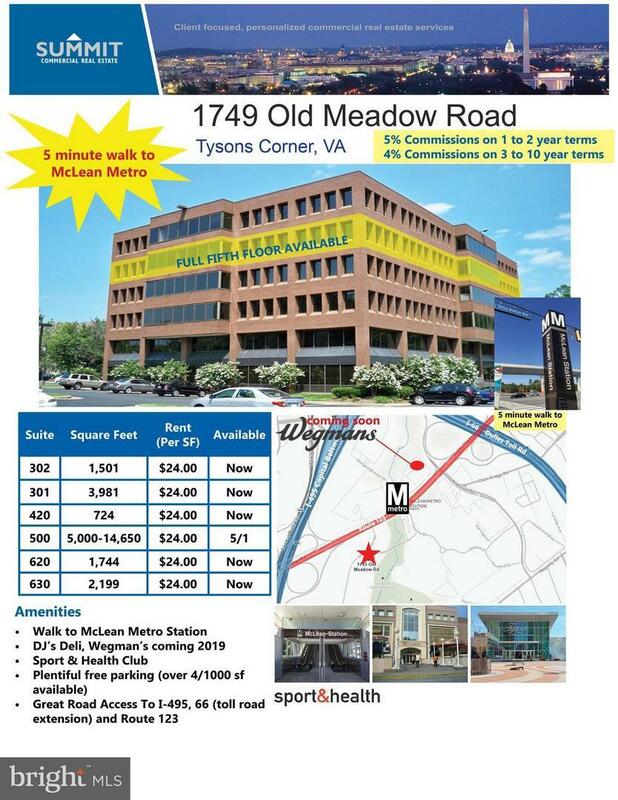 Suites available range from 724 square feet to full floor of 14,650 sf, 5 minute walk to Mclean Metro stop. Free and abundant parking. 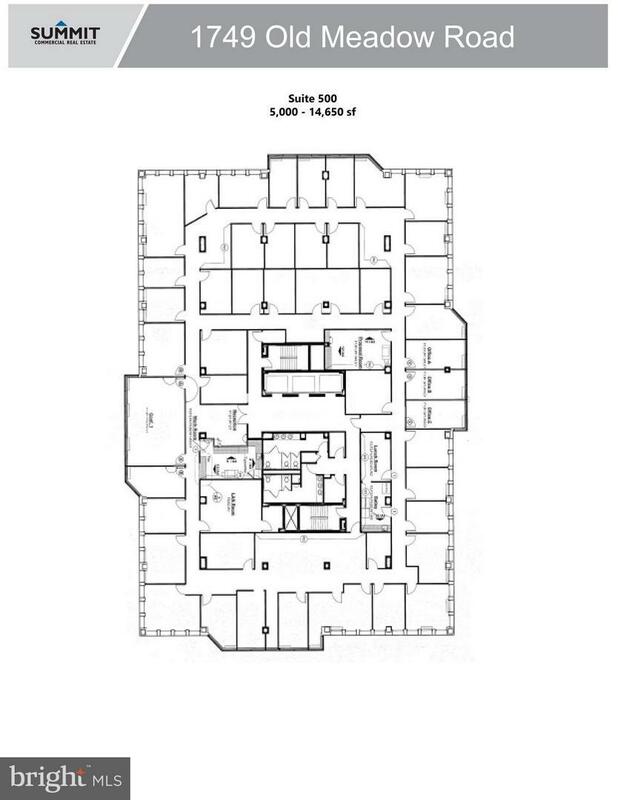 Office space which also can accommodate medical use. Great access to 495, 66, McLean, Airports. 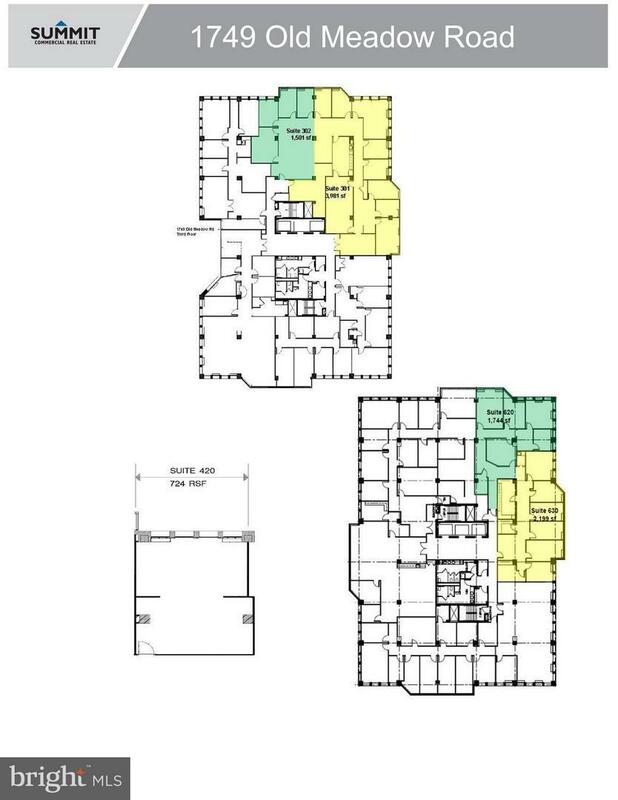 Listing courtesy of Summit Commercial Real Estate, Llc..